May 23-24, Syndivia's CEO will be giving a talk at the SMi's annual ADC Summit in London. Syndivia introduces a first-in-class reagent for kinetically resolved thiol-to-thiol conjugation in its recent publication in Bioconjugate Chemistry. The MAPN reagent allows for the preparation of stable Antibody-Drug Conjugates through conjugation of thiol-containing drugs to the cysteine residues of the antibody. 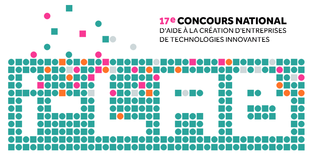 Syndivia was nominated laureate of the i-LAB 2015 in the category "création-développement". i-LAB is a nationwide contest of innovative companies supported by the French Ministry of Higher Education and Research. The prize includes €275k financial support for Syndivia's R&D program on the development of next-generation targeted cancer therapies. Syndivia is selected as one of the TOP100 startups of the Hello Tomorrow Challenge, placing it in the top 3% of the projects participating in the contest. Hello Tomorrow Challenge is a global competition of tech-startups with more than 3600 participants spread across 6 major tech fields: Energy & Environment, Information Technologies, Food & Agriculture, Healthcare, Materials & Manufacturing, and Transport & Mobility. Following the final presentation in front of the International Board of MATWIN, the project ADC 2.0, presented by Syndivia, was granted the MATWIN label and the prize in the category of "Best Challenging Project". The prestigious MATWIN label rewards high-quality projects with strong potential in the area of oncology. MATWIN (Maturation & Accelerating Translation With INdustry) is a nationwide service platform which is unique in Europe and which supports the maturation of research projects in oncology, up to the pre-clinical proof of concept. An advanced review article outlining recent developments in the field of bioconjugation has been published by Syndivia's co-founders. The review represents an exhaustive and comprehensive guide of bond forming reactions used for protein modification. LONDON, UK, April 15, 2015 – Syndivia is among the 10 finalists of OneStart Europe, out of an initial 650 applications from 50 countries. Dedicated mentors from Johnson & Johnson Innovation, Takeda Ventures, Bristol-Myers Squibb, GSK, Roche, AstraZeneca, McKinsey & Company, MedCity, Silicon Valley Bank, Forresters and Olswang have highly rated Syndivia's C&R linker technology and its potential to enable an ADC approach for non-internalizing targets in oncology. OneStart is the world’s largest life sciences and health care startup accelerator programme organized by SR One (the corporate venture capital arm of GlaxoSmithKline) and Oxbridge Biotech Roundtable. It welcomes ideas from across the spectrum: therapeutics, diagnostics, software, devices and research tools. An article highlighting the use of Syndivia's CBTF linker (APN technology) for producing stable antibody conjugates has been published in Bioconjugate Chemistry. In this publication, the authors use the new CBTF-based approach for the preparation of bioconjugates and benchmark it against the commonly applied SMCC linker. STRASBOURG, France, December 19, 2014. Syndivia and SATT Conectus have signed a licence agreement for APN technology allowing preparation of bioconjugates with increased stability in circulation.